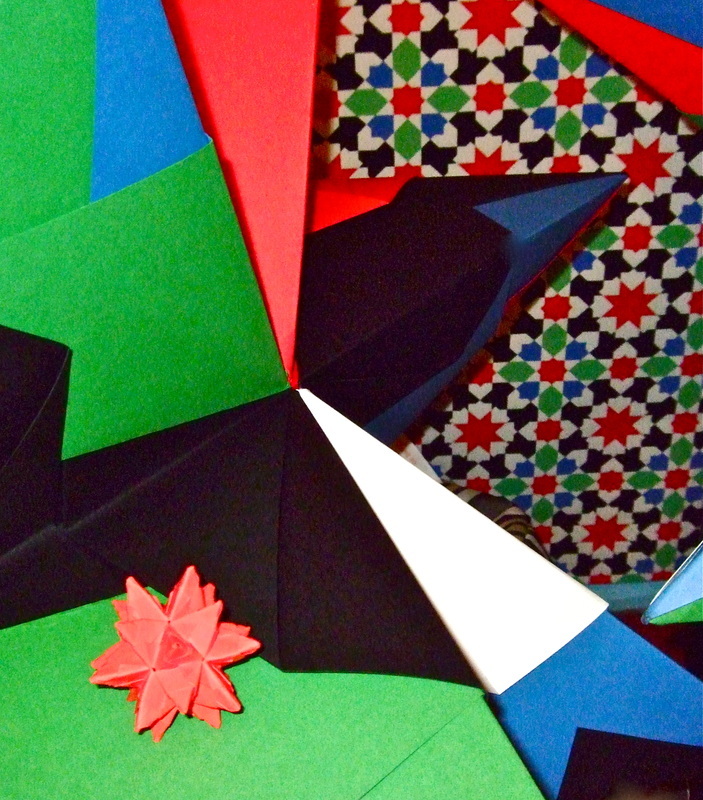 Modular origami forms here are iambic icosahedrons. 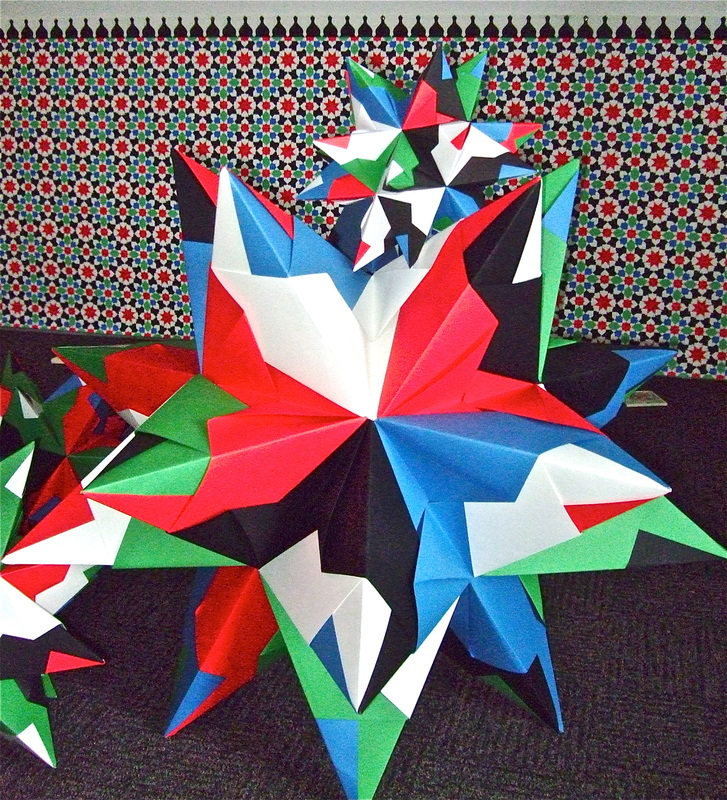 Each twenty pointed star takes thirty squares of paper fitted together by folding. Scale values vary from 5cm up to 1m.